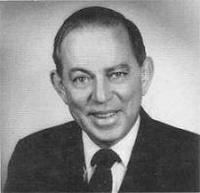 David Joseph Schwartz PhD (March 23, 1927 – December 6, 1987) was an American motivational writer and coach, best known for authoring The Magic of Thinking Big in 1959. He was a professor at Georgia State University and also began his own work as a self-help coach and life strategist. Later, he founded his own consultancy firm focusing on leadership development called 'Creative Educational Services Inc'. He became well known through his motivational publications and self-help books, especially for The Magic of Thinking Big, published in 1959.